Brewing a business is a combo of checking your plan—but adapting as you go. Loved this chat with one of my fave local Eugene craft breweries, Falling Sky Brewing. I’ve been following Manifest through all its ups and downs over the years, from its original incarnation, to two tumultuous moves to, finally, landing in a sweet space in downtown Eugene. The beers are excellent, and the location is awesome. I’m hoping it’s a sign of good things ahead not just for Manifest, but downtown Eugene overall. This was such a fun article to work on, and I hope you like it too. The May issue of the Oregon Beer Growler is out! The full issue is available in print and digital, and you can also find many articles online. For my story in this issue, a Eugene brewery has had lots of twists and turns, but now seems to have found a good location for their excellent beer: Third Time’s the Charm for Manifest Beer. This story is really fascinating: North of Eugene, Oregon’s capitol of Salem has a new brewery that’s inspired by Central America. I’m looking forward to learning more about Xicha Brewing (that’s “chee-chah”): Easy-to-Like Latin Flavors, Hard to Pronounce. A hopefully-changing rarity in the guy-dominated craft beer industry, two women are at the helm of this 6-year-old Eugene brewery. Claim 52 has been ahead of the curve on trends such as kölsch and hazy IPA, and now they’re about to open a downtown taproom/restaurant. I was so happy to get to talk beer and business with the owners and their head brewer, especially about the big change they have coming to downtown Eugene this year. Set not just in Quebec, but in the brilliance and darkness of the human heart. These books are technically murder mysteries, and I’m not usually a mystery fan. But the poignant beauty of these books, the vivid characters, the reminder that murder and life are both ordinary and extraordinary, these are among the many things that will have you understand why anytime I pick up a Gamache book, my wife knows that I’m pretty much gone for the weekend. Another perk: reading these books will tell you the 4 statements that put you on the path to wisdom. That alone is worthwhile. While Sir Terry left this world in 2015, the 34 books in his landmark series live on. Irreverent and hilarious yet deeply insightful and serious, Discworld is a potent reminder that fantasy is just a lens through which we understand our own world—and a touch of laughter is a good way to digest difficult truths. Naturally, I’m a bit partial to my own work. 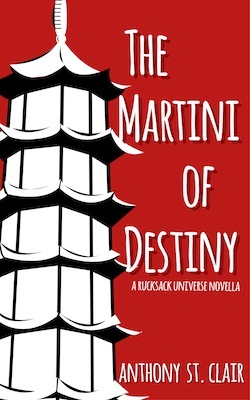 Take travel, magical realism, soak ’em in beer, and you get the Rucksack Universe series. In addition to the 4 titles currently available, I’ve got 2 manuscripts soon to be published, and have a bunch of shorter pieces in the works too. I’ve carried a notebook and pen since I was 17, and I doubt I’ll ever stop. The biggest evolution I’ve made in my notebook habit? BulletJournaling, or bujo for short. Page numbers. Yes. The simple, humble page number. All the years of carrying a notebook, but not once did I think to number the pages. That’s why I mention it here. For Moleskines I have to write in the page numbers, but Leuchtturm1917s have them pre-printed. Index. My Index organizes my bujo by headings and page numbers. When I needed to duck back into a note from my Business Master Class or my son’s ideas for a pizza party, I just need to check my index and thumb to the page. 15 pages of 2-column list space. The first 15 pages of my bujo are for lists. Task comes to mind? Down it goes. I organize lists by heading (listed in the index of course). Daily pages. My daily page has the date, followed by a “1 2 3 RTM” (I use this to remind me to do 3 tasks from the 15 pages at the front of the bujo, along with tasks in Remember the Milk). I list out any notable events for the day, along with bulleted things I need to do. Do not constantly write down repeating tasks. I repeat: do not constantly write down repeating tasks. Have a tool that does that for you. If every day I had to write down “write 1,200 words a day,” I’d get annoyed—I should be working on the 1,200 words! Remember the Milk has free and paid services for you to choose from, along with a range of device apps and their web interface (which is what I use). The free level currently gives me what I need: scheduling tasks but, more importantly, setting tasks to repeat. Life is a series of many regular things with occasional surprises, and Remember the Milk helps you keep track of the regular while being ready for the new stuff. The sharing features alone make this a must-use for me. My wife, also self-employed, uses Google Calendar to manage her personal calendar along with her studio’s teaching calendar. By sharing calendars with each other, we can easily know what each other has ahead for the day and don’t cross-schedule things for when one of us is supposed to the primary parent for our two kiddos. Each Monday morning, I pull up a 2-page template in Pages. The first page is 2 columns, organized by client (and that includes the articles/copywriting side of my business, plus a separate heading for fiction). I list out all the week’s tasks for each client/assignment, bulleted with an empty checkbox (once a task is done, I change the bullet to a checked checkbox). The second, one-column page has space for notes and observations about the week, as well as tasks that I won’t be handling in the current week, but that need to be tended to the following week (or added to Remember the Milk for future scheduling). For years Scrivener has been my workhorse for all my projects, from freelance articles to books. With Scrivener I can organize my notes, structure my outlines, and do all my drafting. “Snapshots” make it easy to do version control as I refine drafts. And Scrivener’s compiling function helps me generate files in any format I need. Until 2017, I used Scrivener for my production e-book files. Scrivener remains my primary tool for planning, managing, and writing all my writing projects. Starting in 2017 though, I began switching production to Vellum for all my e-book and paperback files. Vellum has been on the scene for a while, and many small publishers have begun using it for their e-book files. In 2017 Vellum added paperback options, and that made it a no-brainer for me. Instead of a offering a big suite production and design tools, Vellum focuses on providing a few simple options that authors and publishers can choose from to produce professional e-book and paperback files that work across all major distribution channels. 2017 was a year of tech upgrades for me. The 10.5” iPad Pro with the Logitech Keyboard Case has become one of my most important tools. The iPad itself is my second screen, and I use it regularly for research and social media. The Logitech keyboard has good size and spacing, and feels like using a regular laptop keyboard. As a fast typist, I also find it quieter than most computer keyboards, making it much nicer to use when, say, transcribing notes during a phone interview. I also use my iPad Pro as my main travel system, for daily writing production, taking notes, checking in with my wife and kids, etc. The Logitech keyboard uses the iPad’s smart connectors for power and data, so there’s no battery to charge. A simple tug separates the case-protected iPad from the keyboard, for when you just need the screen. I also like the convenient sleeve for the Apple Pencil. I also recommend completing the package with the Apple Pencil. From marking up scanned documents to drawing in the Linea app, I’ve found the Pencil to be a useful tool that brings the iPad’s functionality full circle. Some have said that the iPad Pro now is a laptop replacement. Personally, I still use a laptop as my workhorse, but the 2017 iPad Pros are a big step forward for tablets. Amazon KDP. This puts your titles for sale on Amazon and gives you access to its global sites as well. I do not recommend making your work available exclusively on Amazon though, via their KDP Select program, but that’s a choice you’ll have to make yourself based on your own goals and circumstances. Kobo Writing Life. This Canada-based company is the major e-book player in Canada, but they also give you access to markets in over 180 countries. The team there is top-notch, full of experts who know their stuff and want to help authors and publishers get their titles to the right readers. Apple iBooks. Every Apple mobile device includes their free iBooks app. The iBooks store has solid merchandising and a global team. Draft2Digital. They came on the scene a couple of years ago and have been really impressive with their intuitive interface, focus on services that work well for authors, and their growing network of e-book channels. You can load your e-book to D2D, and choose from dozens of retailers to distribute too (including Kobo and iBooks, but again, I believe in going direct wherever you can. Wherever I can’t load directly, I use D2D. A fan of Cooks Illustrated and America’s Test Kitchen for some years, I wondered what founder Christopher Kimball would do when he left the company in 2015. After taking a chance on his endeavor, Milk Street, I wish he’d left even earlier. As much as I love CI and ATK, I consider them more informational and educational. There are many recipes that I simply do not imagine myself ever making, though it’s fun to read about them—they simply aren’t reflective of how my family and I typically eat or how I cook. With Milk Street, though, it is totally different. Milk Street draws on cooking traditions and ideas from the entire world—just like I do. The magazine is built from an understanding that anyone, anywhere needs to get dinner on the table. They don’t necessarily want to faff about with it all evening on a weeknight… but they still want to deliver an excellent homemade meal. When I receive a new issue of the every-other month magazine, I can prepare anything in it. I’ve half-joked with my wife that receiving Milk Street means we’ve pretty much gotten our meal list for the next two months. I’ve been thrilled with the recipes and the new insights on how to approach new foods, familiar foods, and fresh ideas. Milk Street helps me make my cooking craft better than ever. In addition to the subscription magazine (and I recommend springing for the print and tablet combo), I also listen to their free, weekly hour-long podcast. The interviews are fascinating, and there is some familiar content from the now-defunct ATK podcast. For over 20 years, The Splendid Table has informed and inspired cooks and those who love to eat. As much as I respect departing host Lynne Rosetto Casper, who is retiring at the end of 2017, I am excited about the new host, Francis Lam. He brings a multicultural aspect to TST that fits well with today’s listener. I also like the new themes the show has been doing, tying together the stories in an episode in a way that brings greater depth to a topic or aspect of food and cooking. When I was in Thailand in 2003 and 2004, I went to street stalls/food carts all the time. The folks preparing food there often used just one knife, usually an 8” or 10” chef’s knife. They did everything with it, from big chopping to fine detail work. They don’t have time or inclination to futz about with lots and lots of knives. So pick a good knife, learn to use it well, and rock it hard. For your primary kitchen workhorse, choose your own adventure: either an 8” chef’s knife with a Japanese-style edge, or a 7” santoku. Get both if you really want (or need 2 workhorse knives for you plus someone else in the house), but really, one is all you need. The 8” chef is the traditional European-style knife, and the santoku is the overall wider knife that is lovely for chopping and scooping work. Some find a santoku too small, and some find a chef’s knife too big and overbearing. I feel at home with either, but I would suggest you pick the one that feels best in your hand. I know some people obsess about carbon steel versus stainless steel, and I don’t give two cabbages. I only care about modern steels that combine the best of both. While my own knives are a German brand (called Solingen, the house brand at a knife shop I worked at some years ago) with a thicker European-style edge, if I were buying new knives today I would go for the thinner Japanese-style edges. Find a knife that feels good in your hand and that is high quality. If its edge in any way resembles the micro-teethed crap that you see for cheap in most stores, it’s not for you. I haven’t confirmed but am pretty sure those are made from the serrated metal strips from aluminum foil boxes. A good set of kitchen knives will last all your days. Unless you have specialty cooking needs that require speciality knives, don’t worry about anything else. From these basics, expand out only into what you need for your kitchen style (if you carve a lot of meat, sure, get a carving set; if you fillet a lot of fish, yes, get a fillet knife), but otherwise, these are all you need. I don’t know why I was so resistant to cast iron. Wait, yes I do. I thought it would be expensive to get and a time-consuming PITA to maintain. With my Lodge 12” Cast Iron Skillet though, neither has been true. Some years back, my in-laws gifted me a double-burner cast iron griddle, and that has been a most useful addition to my kitchen. Back in 2016 my wife and I finally got a skillet. I bake in it, sauté in it, you name it. It’s been a welcome addition to our kitchen, and gets busted out throughout the week. Do you bake? If I were to get another cast iron skillet, I’d get the 10.25” Lodge cast iron skillet. Most cast iron baking recipes call for a 10”, so if you bake, I’d recommend snagging that too. Amazon also has a 3-piece set that gets you the 8”, 10.25”, and 12” Lodge cast iron skillets. I don’t worry about cooking acidic things such as tomatoes. Based off Milk Street and ATK’s recommendations, I keep acidic ingredient cooking to under half an hour. I know there are some folks who think of cleaning cast iron in a manner reserved for extreme religious views. If you’re one of those people, you may want to consider skipping ahead. If not, well, I warned you. Contrary to common belief, cast iron is easy to take care of—but no, you don’t do that useless oven nonsense you saw on YouTube. Don’t sweat soap and water either. If you need to use soap and water to get rid of a difficult, stubborn bit of food, don’t worry about it. I generally use a nylon scrubbing brush and some hot water. Usually that’s enough. Sometimes I use a paper towel and kosher salt. For really stubborn stuck-on food, I have indeed used a green coarse scrubbie pad and soapy water. Place the wet cast iron cookware on the stove and turn the heat to medium-high. Once the water has evaporated and the pan is visibly dry, pour a teaspoon of oil into the pan. Turn on your range fan, set a timer for five minutes, and leave the cast iron alone. The oil will smoke—and it should, because that means it’s chemical structure is changing to the polymer it needs to become. That practically non-stick surface that good seasoned cast iron is known for? That’s the oil breaking down and changing chemically to bond with the metal. When the five minutes are done, turn off the heat and let the piece cool. The best craft beer is the one you have in your hand right now. There you go. Drink and be merry. I don’t know where you live. As you likely know about me, I live in Eugene, Oregon, one of the best beer cities in the US. We’re home to over a dozen breweries and cideries, and from grocery stores to specialty bottle shops such as The Bier Stein and 16 Tons, we have access to amazing curated craft beers from all over the world. If you have places like this where you are, then make sure you are giving them your business. If there is a beer you want that they don’t have, odds are the beer buyer will be happy to take your suggestion and do what they can to get it in. The folks in these places are experts and professionals, and they love craft beer as much as they love making sure their customers can get the best stuff available. The beer clubs at Monthly Clubs. When Ninkasi ramped up their lager production a few years back, I wondered how it would be. I love Ninkasi’s brand, I love their company, and they have wonderful people working there. But I’m not a hophead. Yet from the moment I started drinking Ninkasi’s lagers—from their Pravda and Lux to their now-flagship Helles Belles, I was hooked. Lager’s give you nowhere to hide—either you bring your A game to every batch, or you’re just wasting water. Helles Belles is clean-flavored, both light on the palate yet packing great flavor from its balance of malt and hops. A regular everyday beer for me. Founded by Doug Coombs, Brian Coombs, and Matt Van Wyk (former brewmaster at renown Oakshire Brewing), Eugene-based Alesong Brewing busted onto the scene in 2016 and took home a gold from the Great American Beer Festival their first year. From their Strawberry Symphony to their Shake Your Tree Wild Ale with Peaches, they approach beer the way the world’s great winemakers approach wine. They also may actually be wizards and alchemists, but I have yet to confirm that on the record. Anything you can find from them, snag a bottle. In a similar vein, I’ve been really impressed by this recent brewery, headquartered on the Oregon Coast in the wee town of Yachats (pronounced yah-hots). Their boysenberry ale was my personal highlight of the 2016 KLCC Microbrew Fest, and everything I’ve had from them I’ve really enjoyed. Get a really nice wine glass. That’s right. Hold your nose if you must, but just as wine glasses are designed to bring out the best in wine, they often work really well for beer. Personally, I’m a fan of the Riedel New World Pinot stemmed glasses (and got a set for me and my wife for Christmas 2016). Focus on any glass with that tulipy design: bulbous bottom, narrowing at the top: you’ll get the full color of the beer, and the narrowed top will concentrate aroma and effervescence. To inspire you and get you off the couch: Atlas Obscura. Ever since I was a kid, I’ve been fascinated by the curious places of the world. As much as I love fiction, I’ve always enjoyed that there is far more oddity in our own real world as you might find in any story world. There aren’t many things that I read every single day, but Atlas Obscura is one of them. Its stories of fascinating places and curious bits of history are a reminder that this world is as varied as it is interesting, and will never stop surprising you. I’ve also seen Rick referred to as “the Mister Rogers of travel,” and that is a fairly apt description. Nowadays, in addition to Rick’s guidebooks (including his classic, Europe Through the Back Door), Rick offers trips, his free PBS show, and a wonderful weekly podcast. While Rick’s guidebooks and tours focus on Europe, the podcast is global in scope. I’ve learned about places I want to go—such as markets in Provence, France—and I’ve been inspired to learn about parts of the world and its history that I did not know about (such as Graham Robb’s The Discovery of Middle Earth: Mapping the Lost World of the Celts). The free podcast is about 50 minutes, and I highly recommend you add it to your must-listen. I’ve been to a few places on this wee world of ours, and I’ve always been glad that I have my money belt strapped to my belly. It holds my passport, spare cash, and any tickets or other important documents. It’s given me peace of mind knowing that I had those essentials with me, instead of leaving them with my backpack or in a supposedly safe hotel safe. Tip: on days you know you need something from your money belt, such as flying from the airport, when you get where you’re going, head to the restroom and get out what you need from the privacy of a stall. Living in western Oregon since 2000, I consider an umbrella something that’s really cute for my kids to use. You’ll find this sentiment common with Northwesterners, and we know about living with rain and doing lots of stuff outside, often, yes, while it is raining. A lightweight rain shell is often all you need (with appropriate warm and base layers underneath, of course). However, I cannot abide hoods. They compromise my peripheral vision, and that just drives me mad. So I instead have a narrow-brimmed fedora. It looks snazzy, keeps my head dry, and I can maintain good visuals on wherever I’m wandering for the day. Wherever you are and however you celebrate, I wish you and yours all the best. May next year be better than this year, and may you know peace, striving, fulfillment, and perspective. P.S. : Some links are affiliate links, which earns me an affiliate commission for any purchases you make. 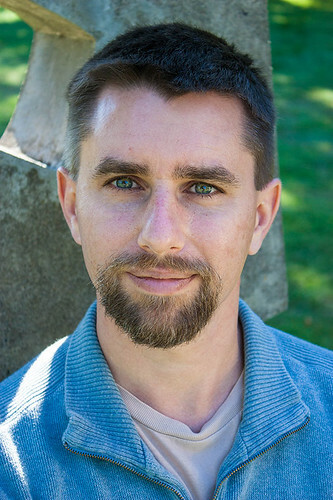 I live in Eugene, Oregon, and have been a self-employed professional writer since 2011—nearly 5 years. I’m the author of 3 (going on 4) travel fantasy books in my Rucksack Universe series. I write about craft beer. I help other people with their online content and marketing. Outside of my home office, I spend lots of time with my wife, son, and daughter. And I love to cook. Getting ready for the June 16 launch of my fourth Rucksack Universe travel fantasy book, The Lotus and the Barley. (You can pre-order the e-book now at Amazon, iBooks, and Kobo). Knuckling down for lots of May article deadlines. In addition to the book launch, I have lots of article assignments due throughout the month, about everything from wedding registries to craft beer to construction. Have I mentioned that it’s very, very hard for me to ever feel bored? Planning summer trips. My wife and I are both self-employed (she teaches Suzuki violin lessons and music classes for infants and toddlers at our Eugene Suzuki Music Academy). We have friends in Portland and Seattle we are long overdue to see, so we are planning a summer road trip. In the works for summer are also some camping trips, and various book signings, readings, and other author events. If you’d like me to come to your town, let me know. Yoga once a week and walking over 10,000 steps (about 5 miles) each day, aiming for 13,000-15,000 steps (up to about 7 miles) at least a couple of days each week. Pondering something big, but I’m still working on the decision and am not ready to say anything else yet. Wild beers are such a, well, wild ride. Here’s a new piece about wild beers in Oregon, in The Register-Guard. “Think of everything you know about beer: the bitter punch of a Northwest IPA, the light flavor of an American lager, the richness of a dry Irish-style stout.